Files Go was launched only a few months ago, but already, Google is taking feedback it received for the app and implementing changes. In this update, Google is adding a file search function to help you spot the files you’ve been looking for. To enhance the feature, it is completely usable offline. 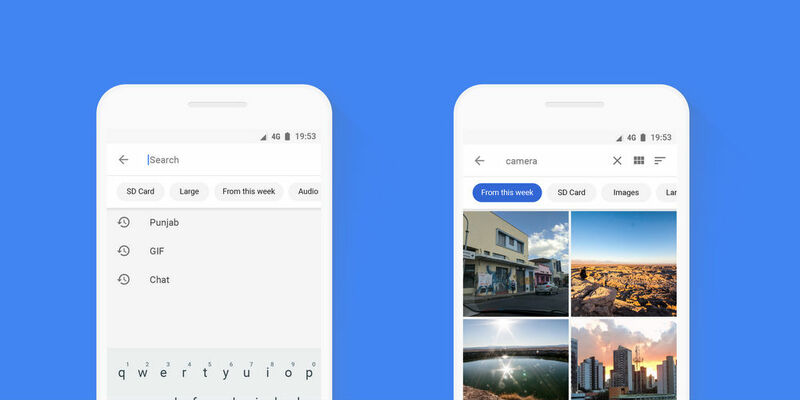 Additionally, users can now easily spot duplicate files for easy removal and clearing up of storage, as well as take advantage of Files Go working with Google Photos. For this, whenever a photo or video is backed up on Google Photos, Files Go will inform you that it is now safe to remove the file from your device, freeing up more space for new photos and videos. Here’s a detailed rundown from Google for what’s being added. File search: You should be able to search for files on your phone just like you search the internet. Files Go is now bringing Google’s expertise at search—including instant results, search history, autocomplete and filters—to file management. Now, when you open the Files tab, you can tap the search icon and find all of your files on your phone in a split second. And best of all, it works offline. Show the location of duplicates: From the start, Files Go has made it easy to free up space by removing duplicate files, but people have told us that they’d like to see where these files are located on the phone before they get deleted. So now when Files Go suggests duplicate files for removal, you can long press on the thumbnail, tap the “i” icon and see the location of the file. Remove backed up photos and videos: Files Go now works seamlessly with Google Photos. Once your photos and videos are safely backed up in Google Photos, Files Go can detect that and prompt you to delete those files so you free up more space. The three new features are rolling out to the app right now, downloadable on Google Play.